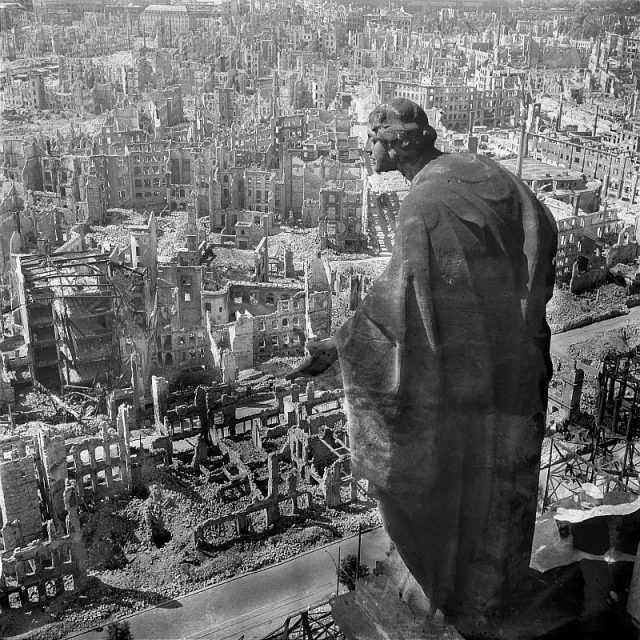 At the height of his power, Adolf Hitler declared that the German people were on the threshold of a Thousand-Year Reich. This announcement was welcomed with awe, although less than a decade later, the country was facing its biggest defeat in history ― one that could lead to total annihilation. 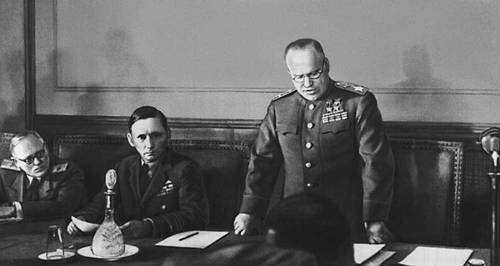 After the battles of Stalingrad and Kursk on the Eastern Front, as well as the weakening of the Luftwaffe’s capacity in the aftermath of the Battle of Britain, the tides of war were beginning to turn against the Third Reich. 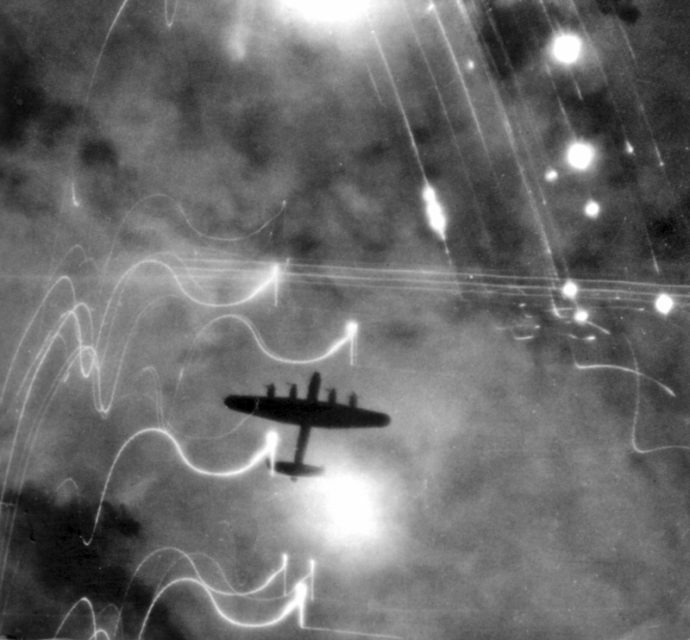 Allied bombing raids intensified and brought the once powerful German industry to its knees. 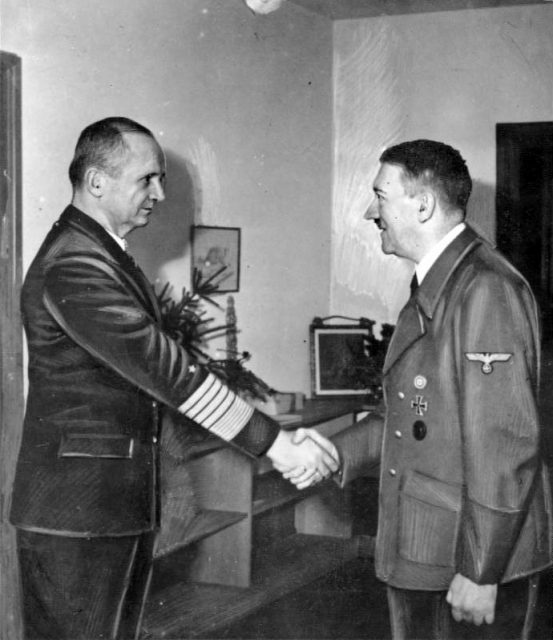 By mid-1944, Hitler was losing his grip and was facing an assassination attempt conducted by his own troops. Purges within the military ranks followed, crippling the already weak leadership. During this time, the Allies had already begun their invasion of Normandy, marking the beginning of an end of the war in continental Europe. Approximately a year later, they would push back Hitler’s last great offensive in the Ardennes and cross into German territory. By that time, the industry was crippled, while the advancing Red Army was causing mass panic as it cut through Poland. It was bringing the war back home. 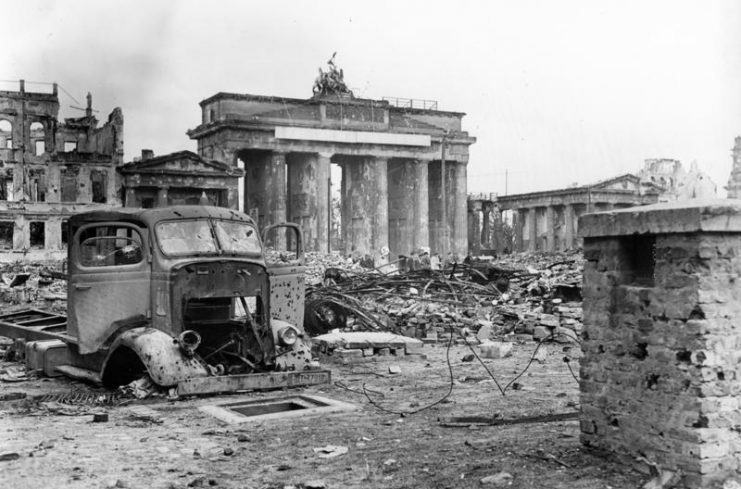 Hitler was issuing orders to nonexistent units from his underground bunker in Berlin, insisting that Germany must fight to the last man, woman, and child. 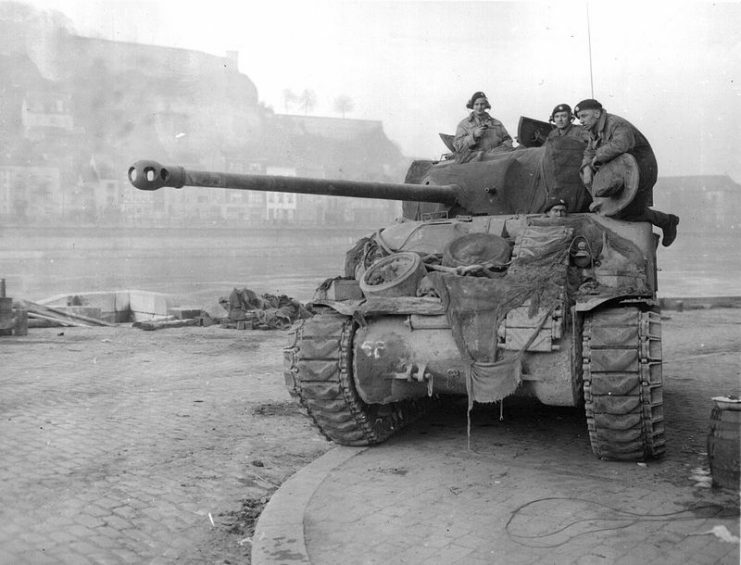 British Sherman “Firefly” tank in Namur on the Meuse River, December 1944. The Führer committed suicide on the 30th of April, 1945, prompting some of his closest associates, such as Goebbels, to do the same. 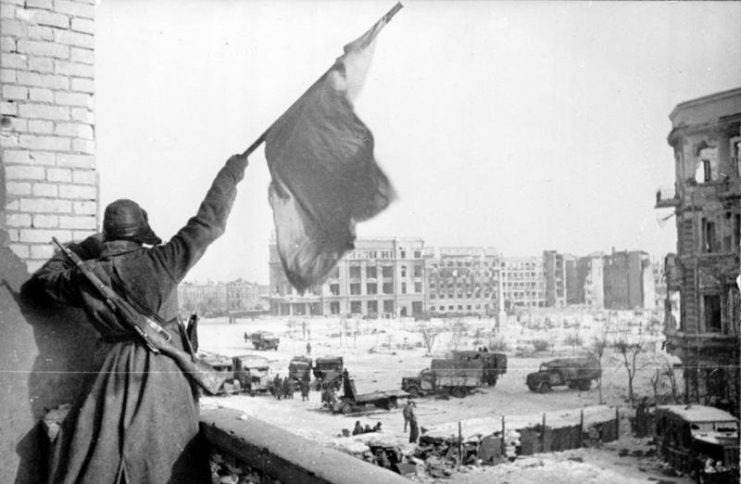 With the Battle of Berlin raging on, the country was already willing to surrender to the Allies, while fleeing the invading Soviets who were known for their cruelty and taste for retribution. Grand Admiral Karl Dönitz, who succeeded Hitler, signed the German Instrument of Surrender on May 8, 1945, marking an end to a conflict which reshaped the world. 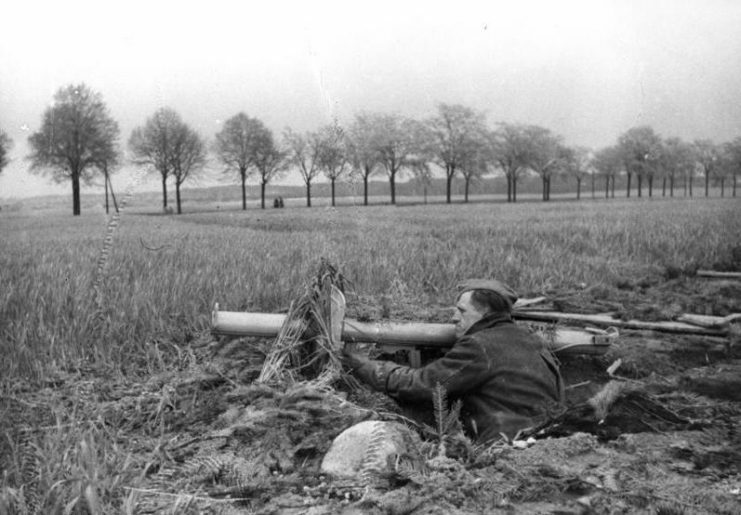 Several days prior to this date, most of the German armed forces had laid down their guns. In the aftermath, a trail of destruction was all that could be seen. 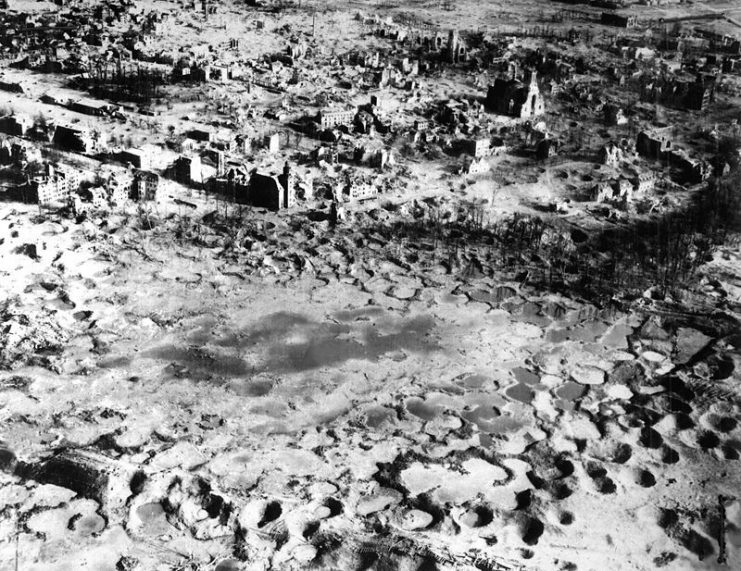 The landscapes of Europe had become shattered fields soaked with blood, serving as graves for hundreds of thousands of fallen soldiers from all sides of the war. 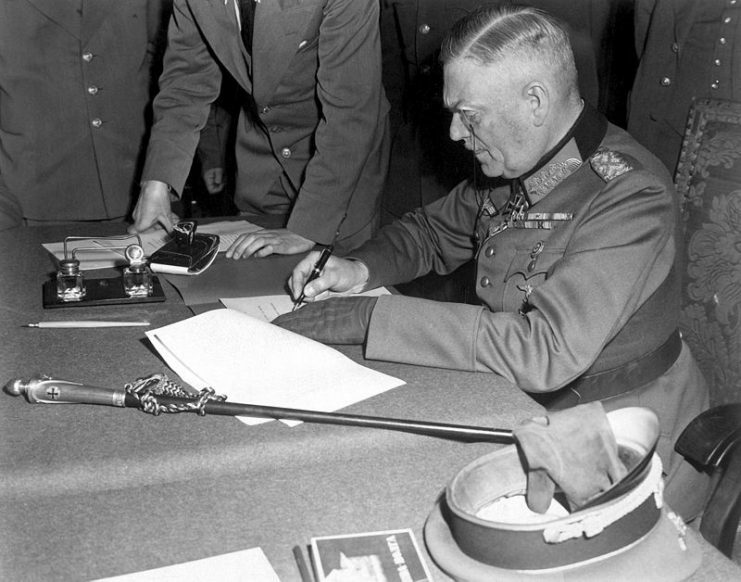 Field-Marshal Wilhelm Keitel signing the definitive act of unconditional surrender for the German military in Berlin. May 8, 1945. Members of the Flensburg Government after their arrest. 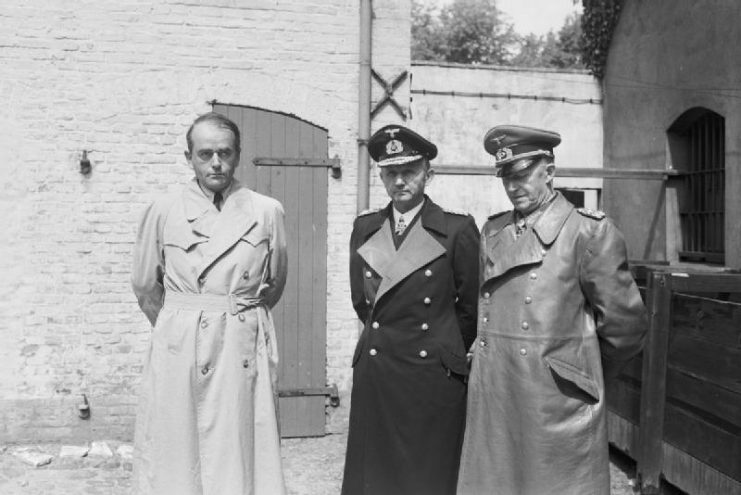 Albert Speer (left), Dönitz (center) and Alfred Jodl (right). 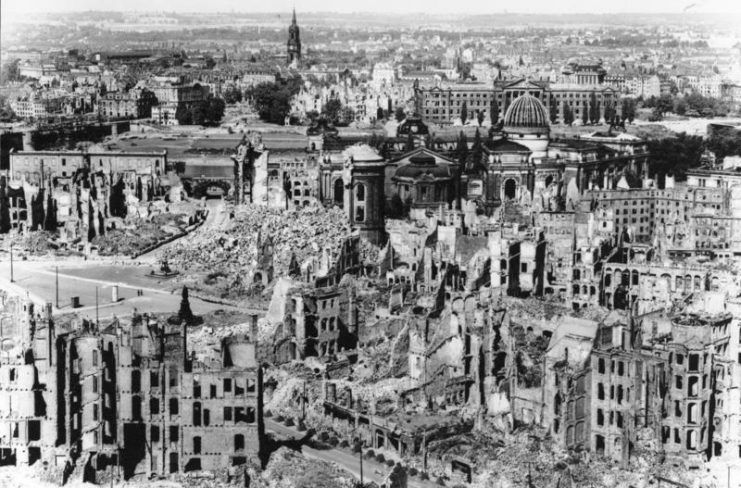 When peace came, there was almost nothing left ― German cities such as Dresden, Cologne, and Düsseldorf were reduced to rubble. Millions of people found themselves as refugees, while the official death toll in the country ranged between 5.5 to 6.9 million people. 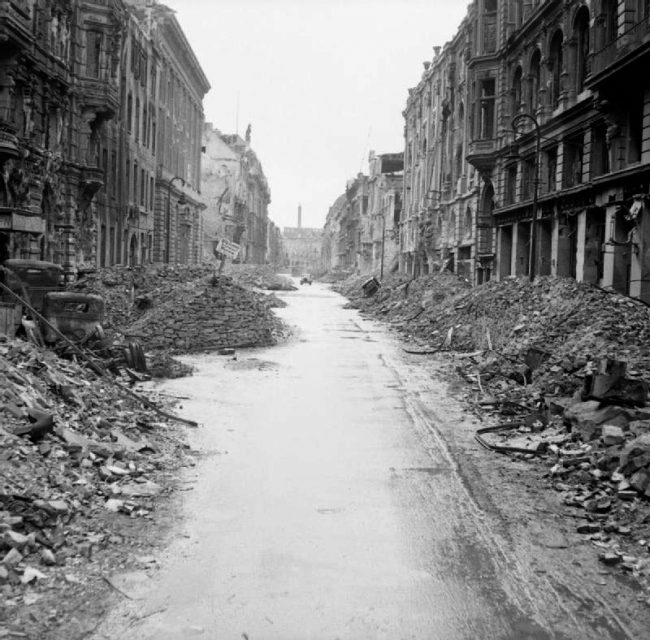 A devastated street in the Berlin city center just off the Unter den Linden, July 3, 1945. 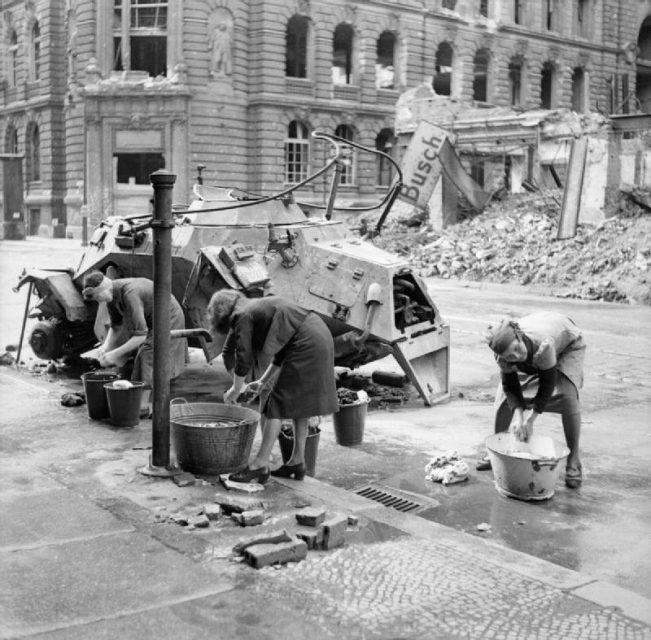 German women washing clothes at a water hydrant in a Berlin street. A knocked-out German scout car stands beside them, July 3, 1945. 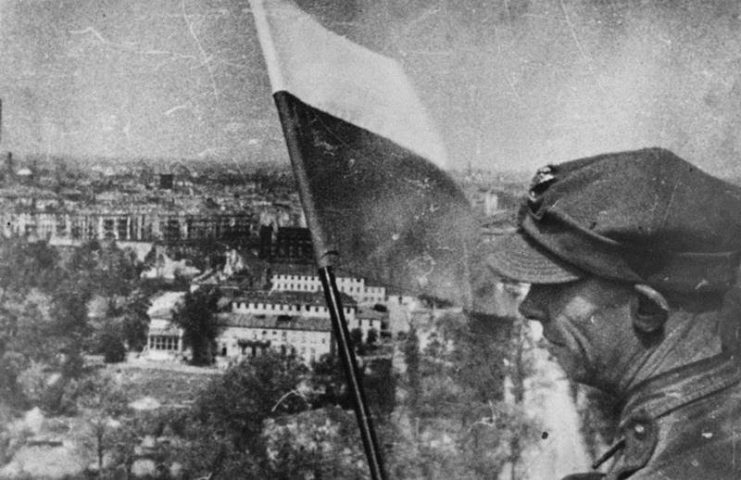 Polish flag raised on the top of the Berlin Victory Column on May 2, 1945. 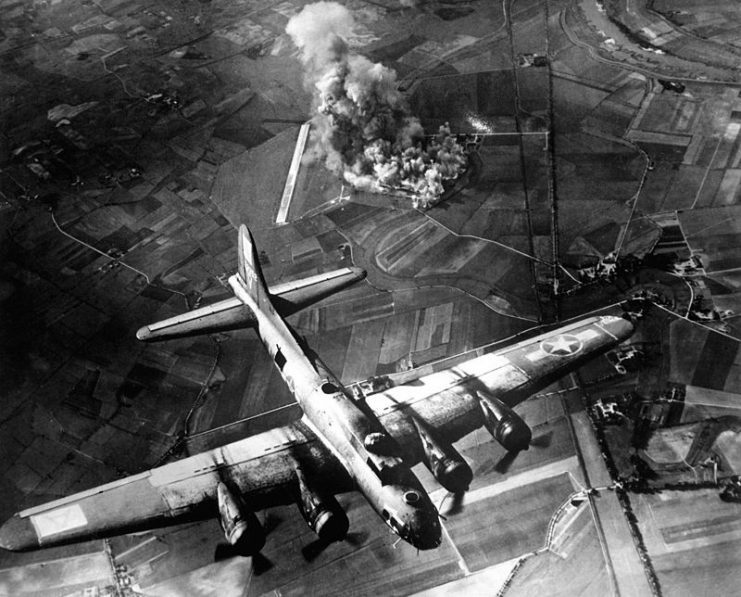 A raid by the 8th Air Force on the Focke Wulf factory at Marienburg, Germany (1943). 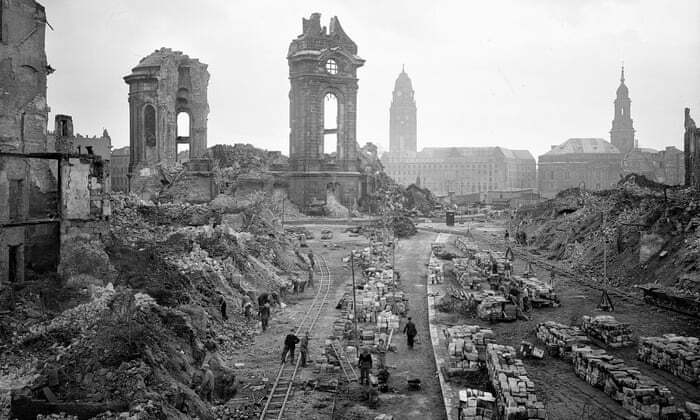 The ruins of Wesel in 1945. 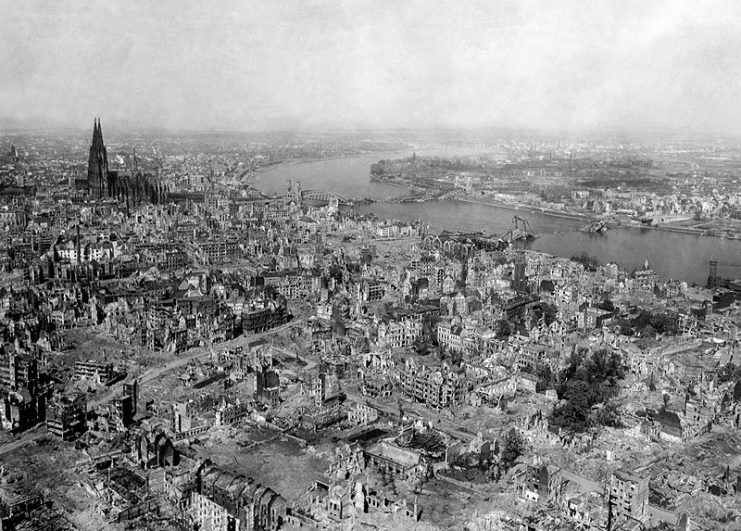 97% of all buildings in the city were destroyed by Allied bombing. 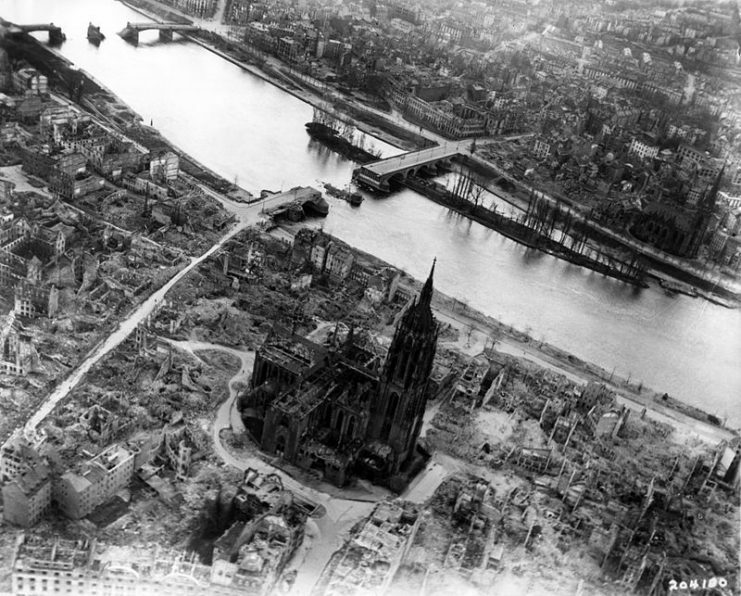 The area near the Frankfurt Cathedral after a bombing, May 1945.